Tayntons Solicitors, a large Gloucester based law firm have been progressive in their expansion plans and increased their team in challenging times. Their growth has been against general market conditions and for them has become standard. Recognizing that this level of dynamic growth needed strong IT investment and support they chose to upgrade their internal systems to DPS One Office integrated case and accounts. They decided that there was no point in giving staff new tools unless they had the right level of training to be able to use the systems to best effect. Tayntons have a number of Case Management modules from DPS that cover Personal Injury, Conveyancing, Matrimonial, Probate and Wills workflows all of which are linked to the DPS Financial Director Accounts Software. Overall the software family provides a fully integrated solution that every growing law firm needs. They also employ the MLS (mylegalspace) facility that allows clients to connect and view the progress on their cases increasing their client contact, care and ultimately satisfaction. Dolores went on to say “The training we had was second to none. The user feedback has been excellent and everyone felt at ease and even those of us who have used systems for many years learnt a few things! Everyone is using the system and benefitting from it now. 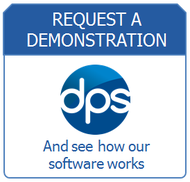 DPS Software have been servicing the legal market for more than 30 years and with this experience comes first class training and service. Tayntons Solicitors’ investment in DPS Software has helped them grow and DPS are proud to have helped make their investment in IT a good one where everyone benefits from the service provided.